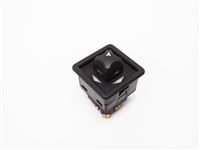 Reliable RV steps need every part to function properly and safely, so be sure to keep your system running in tip-top shape with our replacement RV step switches and electric step parts. All of our electric motorhome step parts are designed for RV models aged 2000 or newer, and many designs are universal to fit a variety of popular brands such as Monaco, Holiday Rambler, American Coach and Fleetwood. As these motorhome step controls are not brand-new OEM parts, they do not include wiring, hardware, adhesive or instruction manuals. However, they are guaranteed to fit and function just like new RV electric step parts. Be sure to review product specifications for model compatibility, and contact us if you have any questions or concerns! We can also order parts if you need something not currently listed in our selection.